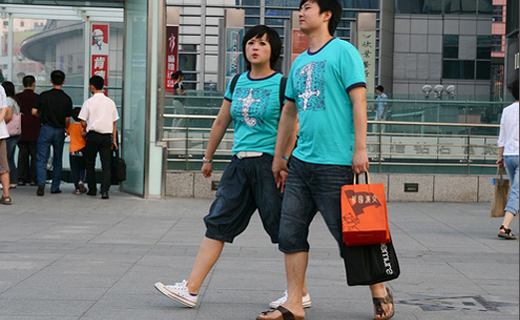 Walking in the streets of Shanghai, we were surprised to see the growing trend of couples wearing the same clothes sets. Some fashion shops are purely specialized in clothing for couples. In a country like China where collective actions and behavior is seen as something for the old fashioned it is interesting to see this trend particularly in the youth market. T-shirts are a democratic garb. Like a personal space, people use it to display a facet of their personality. Some wear the name of a famous band. Some support their heros or support a cause. 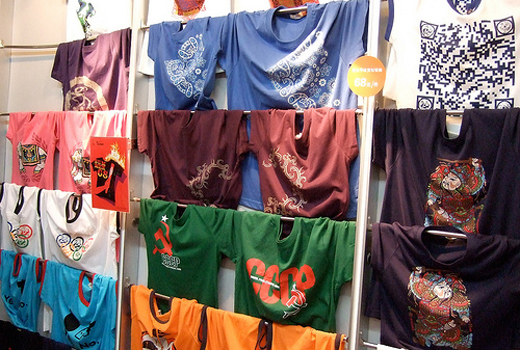 Now China uses T-shirts as a way to show their love of their partners.